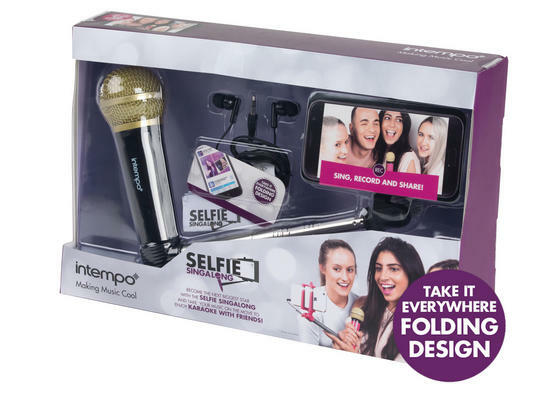 Sing along to your favourite songs and record yourself and your friends with this Intempo Microphone Selfie Stick. Featuring a working microphone with great recording sound and an adjustable selfie stick, you can place your phone in the cradle and set it to record while you sing into the microphone. Simply download a karaoke app and customise with autotune and filters to star in your own music videos, then share with all your friends on social media to enjoy your moment in the spotlight. 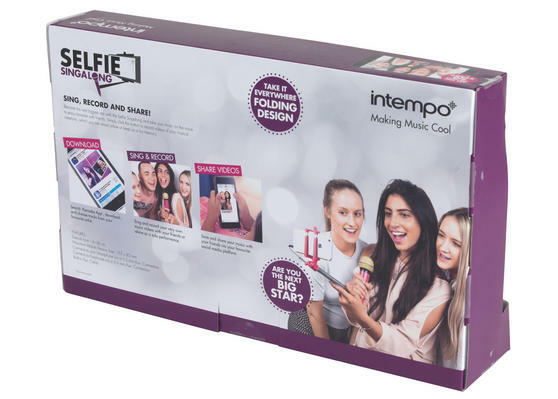 Create your own music videos at home and record your performances using your phone with this Intempo Microphone Selfie Stick. 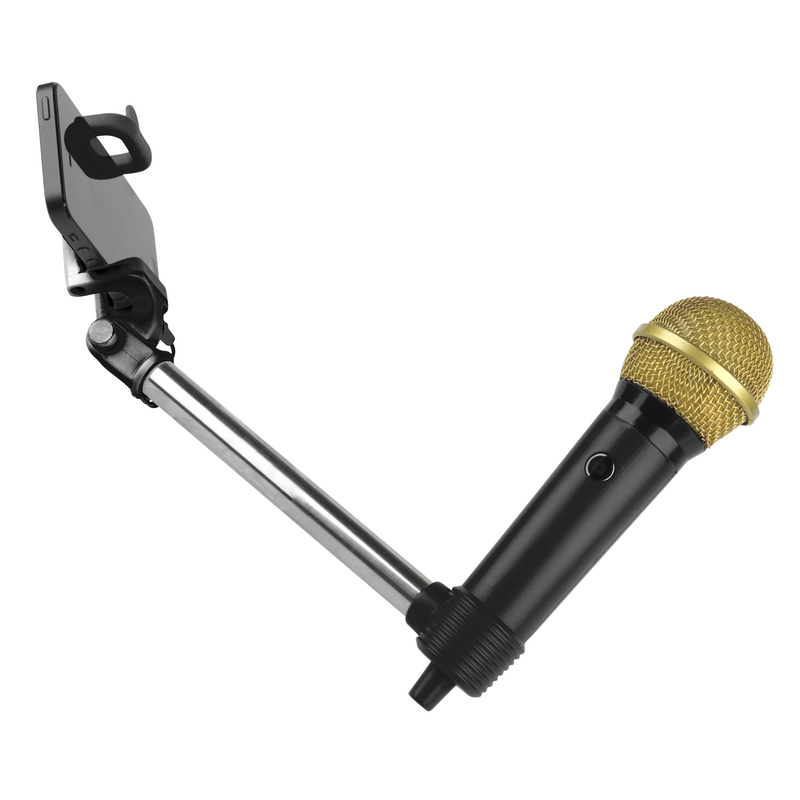 With great recording sound and a brilliant looking finish, the real working microphone is the ideal accessory for any aspiring singer. 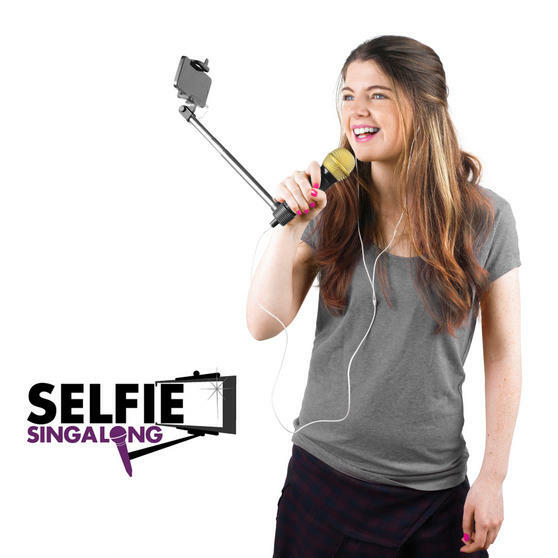 The selfie stick will cradle your phone securely and record you while you hold the microphone to sing like a real pop star. Download a karaoke app and use the microphone to sing or lip-sync to the music, then use autotune or filters to customise your video. The adjustable selfie stick enables you to record you and your friends from further away or to do a close-up performance.